The town of Manzanita is truly a picturesque beach town that offers a great coastal vacation experience. Please visit Main Street to view local business listings or read below to learn more about this beautiful area on the Oregon Coast while finding enjoyable ways to spend your time. 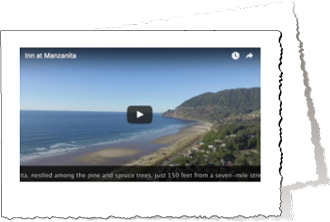 In addition to the following, Manzanita is one of the best places on the Oregon Coast for surfing, hiking, crabbing, fishing, kite flying and building sandcastles. Visit the Tillamook Coast Website for more ideas! CHECK OUT OUR FREQUENT GUEST PROGRAM HERE!